2017 West Dean Arts and Craft Festival brings together 200+ artists, makers, writers and performers for the UK’s definitive arts and craft festival. Taking place at West Dean College, the former home and gardens of Edward James, poet, Surrealist and arts patron, the festival will deliver a wide range of dynamic workshops, drop-in creative sessions as well as exciting live demonstration, performances and installations. Browse and buy unique pieces from 120 designers and makers, curated by MADE, and visit the dedicated Print Show. 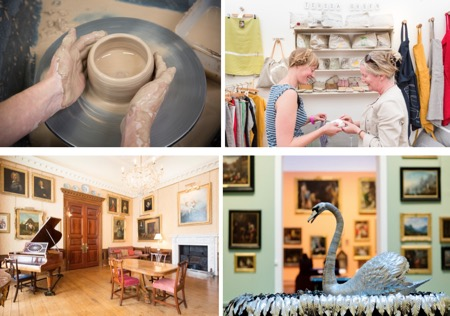 Visitors will discover the secrets of West Dean House, with its intriguing arts heritage, along with the surrounding award-winning restored West Dean Gardens. The festival will run at West Dean College from 2-4 June 2017. 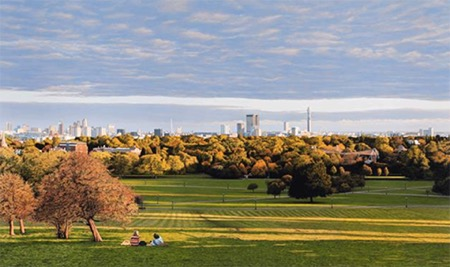 Festival-goers will be able to try their hand at a variety of new techniques by participating in creative workshops run by professional tutors in subjects as varied as stone carving, machine embroidery and oil painting. Artists will be revealing their practice through demonstrations in blacksmithing, tapestry weaving, painting, printmaking and metalwork. Visitors will learn the secrets of etching, watch expert potters turn clay into beautiful objects and follow the Drawing Theatre around the grounds. These will be complemented by insightful talks and theatrical performances around the site throughout the weekend. The Festival includes West Dean House Opening, an annual event that offers visitors a rare opportunity to explore the Grade II* listed historic house and learn more about the West Dean Collection. Guided architectural tours will run throughout the weekend taking participants on a journey through time from the 17th century Jacobean manor house through to the late Victorian alterations and on to the present day college. The exhibitions on display include artwork and artefacts from the thirteenth to the twentieth century, combining the acquisitions of two generations of the James family. The fascinating history of West Dean contrasts a fashionable Edwardian interior with the eclectic collection of Edward James – which includes work from the Surrealists and Neo-Romantics. Full-time students will be showcasing their work including: the launch of an anthology of writing by graduates of the MA in Creative Writing and Publishing; installations by Visual Arts students; and live heritage projects from the School of Conservation. The Old Library, home to an array of antique books, artworks and furniture, will host a series of talks by curators, conservators and artists. One of the highlights will be a talk by Matthew Read, (MA, ACR) about his conservation work on the Silver Swan, the famous automaton that featured at Robots, the Science Museum’s recent blockbuster exhibition. Close to 120 exhibitors will display and sell their work in the marketplace, curated by the team behind the successful MADE London and Brighton Art Fair with an impressive array of hand crafted objects to buy. Tours of the garden will be led by the Head Gardeners and there will be a variety of drop in sessions held throughout the ‘Hut Trail’, which features thatched summer huts scattered around the gardens. Activities include ‘creating a floral headdress’ and potting up colourful tubs of herbs. Each hut will feature artists and craft makers offering visitors the opportunity to knit, draw, print and craft paper sculptures to take home. The Emergency Poet will also be prescribing poems as ‘treatments and cures’ from her 1970’s ambulance. Artist Caroline Wendling will present her unique grass maze and will be giving a talk on her artist residencies at Cambridge School of Art, Wysing Arts Centre and Deveron Arts. West Dean Arts and Craft Festival offers plenty to see and do for all ages in a glorious location, plus local food to enjoy throughout. Children aged 5-12 will have their own creative workshops where they can paint, make felt models and learn to work with clay. Early Bird ticket prices: £10 adult (until 26 May) offering a saving of 20% (£12 on the gate), Children free, Students 16+ early bird £5 (£6 on the gate). For further information and to book tickets and workshops visit www.westdean.org.uk. 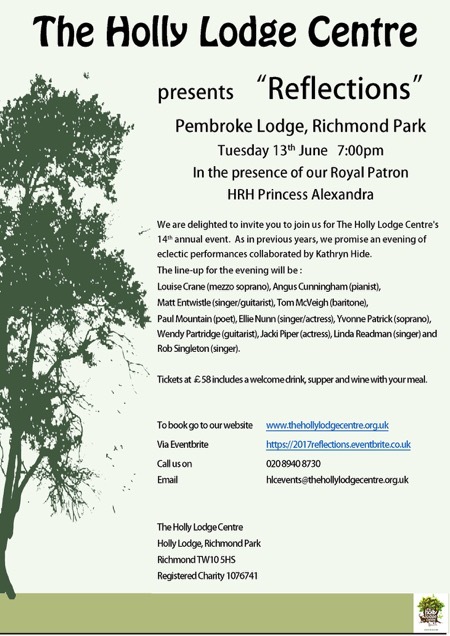 The Holly Lodge Centre in Richmond Park presents Richmond Park Reflections at Pembroke Lodge for the 14th consecutive year on Tuesday 13 June – 7:00 pm for 7:30 pm. 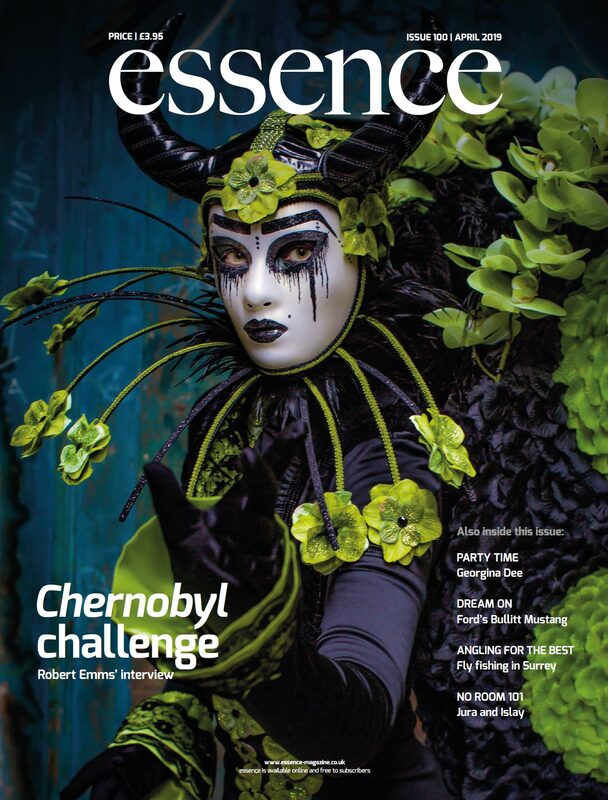 As in previous years, we feature an evening of eclectic entertainment collaborated by Kathryn Hide. Ticket includes a welcome drink, supper and wine with your meal. Louise Crane – mezzo soprano with extensive operatic credits including Glyndebourne, ENO, and others in the UK and abroad. Angus Cunningham – accomplished pianist and accompanist, he also plays the organ, harpiscord and clarinet. Tom McVeigh – baritone who performed in various operatic roles including Royal Albert Hall, The Royal Opera House, Scottish Opera and various West End theatres. Ellie Nunn – singer/actress who has performed in various stage productions. Yvonne Patrick – soprano who performed in various theatres including Glyndebourne Fesival Opear, Welsh National Opera and Garsington Opera. Wendy Partridge and Linda Readman - a sister duo who are respectively a classical guitarist and a professional singer who loves jazz and folk music. Jacki Piper - an actress who has performed in theatres throughout UK and abroad. Christian Marsh studied illustration, taking two degrees at the University of Wolverhampton, his home town, where he still lives, but inspiration comes from travelling to faraway places, especially the sunshine of America’s West Coast. 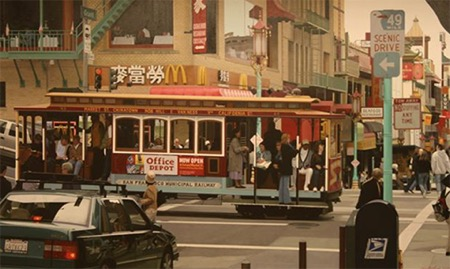 ‘I spend time in American cities, like Miami and San Francisco, where the light is pure. I seek out images flooded with detail of shadows and strong light reflections. I like the challenge of detailed urban architecture, but mix the solid architectural shapes with the curved and asymetrical ones of people and nature.